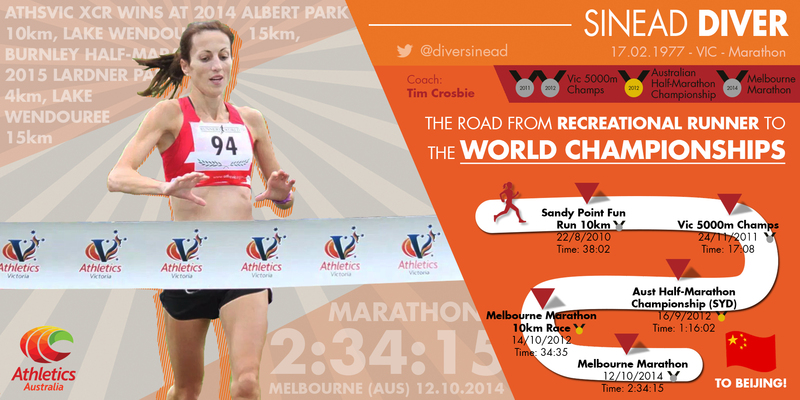 It’s been a busy period for track and field in Australia. Over the past three months in the lead-up to the World Youth Championships in Cali, the IAAF World Championships in Beijing, and the IPC World Para-Athletic Championships in Doha, I’ve been working with Athletics Australia in their Melbourne office, creating and writing feature articles on our best and brightest athletes. A particular few athletes were highlighted in this series and the graphics that accompanied each story are featured below. These mini graphics were perfectly suited to fit inside Facebook and Twitter timelines and were a valuable eye- catching photo to post. 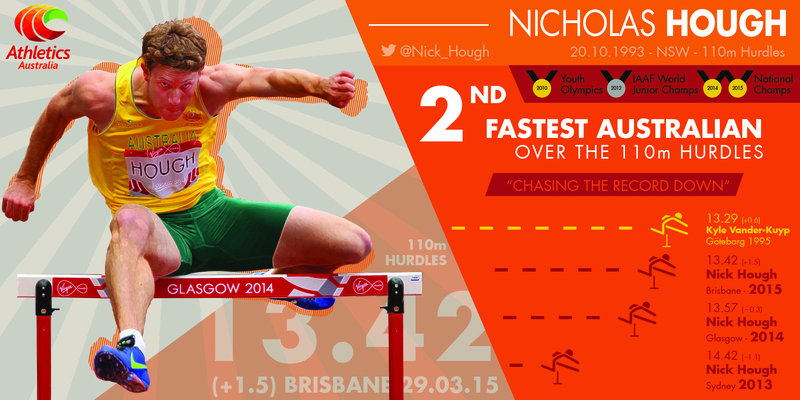 Nick Hough, the 21-year-old 110m hurdler talked about balancing his rapid rise to athletic stardom with full time university. Hough has developed an educational app, and talks about the similarities between entrepreneurship and professional sport. 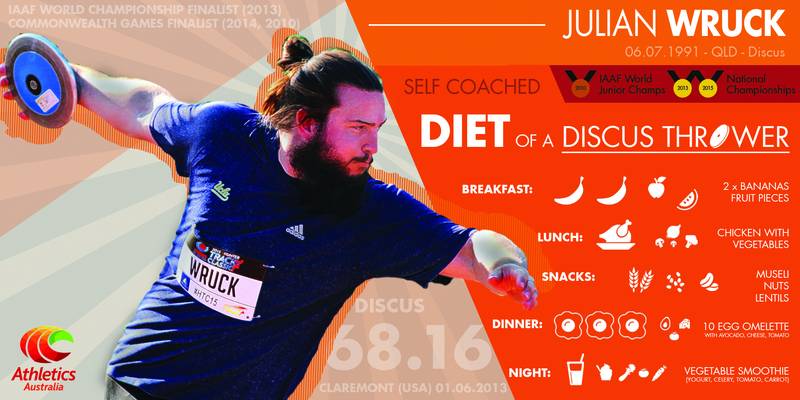 Julian Wruck, Australia’s herculaic discus thrower talked about his love of the sport and challenges associated with being a self-coached vegan discus thrower. Searching for greater consistency, Wruck talks about how he slimmed down and dropped his weight in order to gain greater speed and further throws. Brooke Stratton, the bright future for Australian long jumping talked about her devastating injury on the eve of the Glasgow Commonwealth Games and the road to redemption in Beijing. 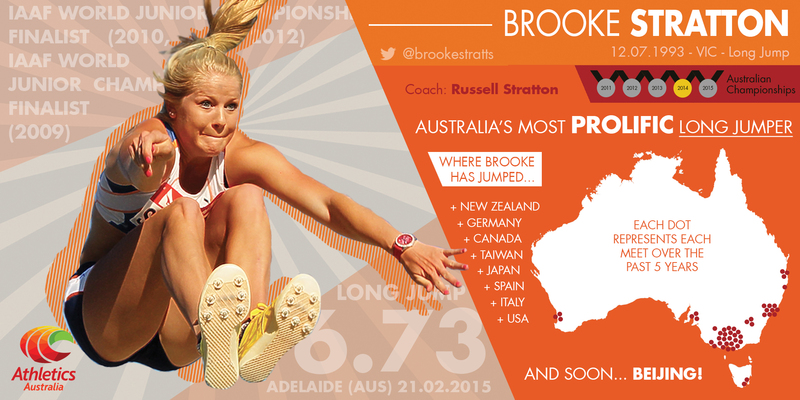 Stratton is a proud supporter of club athletics and is one of the most prolific athletes on the Australian circuit. Sinead Diver, the 38-year-old marathon runner who started running only a few years ago. Formerly from Ireland, Diver discovered a talent she never knew she had, and with some tough training, was selected to run the marathon for Australia, despite only ever completing the distance once before. 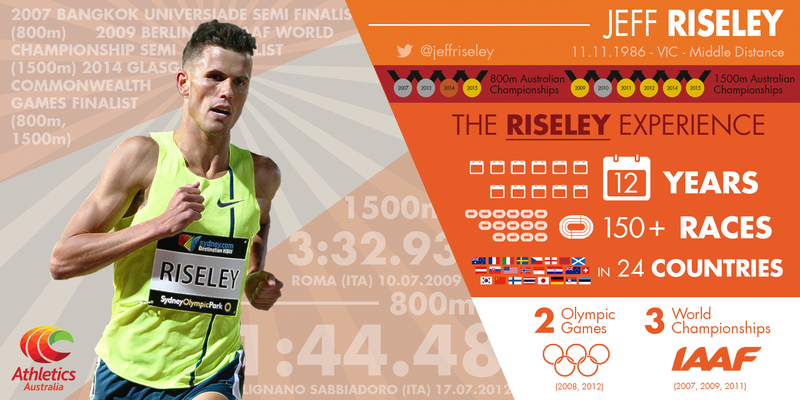 Jeff Risely, the king of Australian middle distance running has unfinished business to care to. A champion on the domestic tour, Risely has never quite performed his best on the world stage. Risely talks about his years of experience and his hunger in chasing the Australian 800m record. 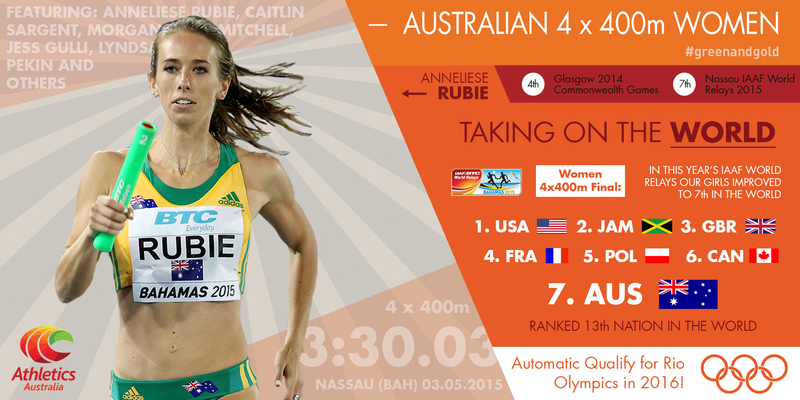 Anneleise Rubie, has much to live up to in terms of Australian 400m running, but the 23-year-old is making big waves in her running. She spoke about her individual improvement as well as the joys of being a part of the 4 x 400m relay team that went over Beijing.